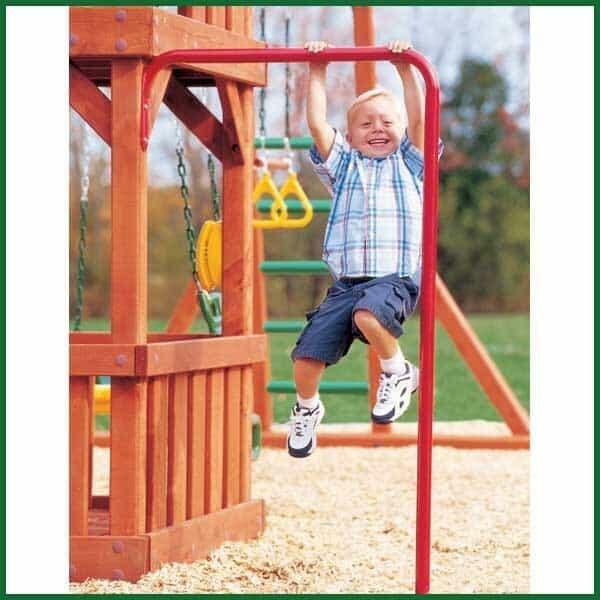 This swing set accessory helps develop strength and coordination, but it won't feel like work! It comes in a red, powder coated, galvanized steel material to ensure that it will hold up to vigorous play and will not rust. The playground accessory is extremely easy to install to existing structures, no expertise necessary.